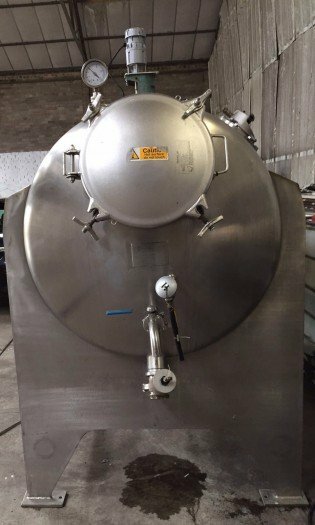 ﻿ GNP Equipment | Stainless-steel-horizontal-jacketed-tank. 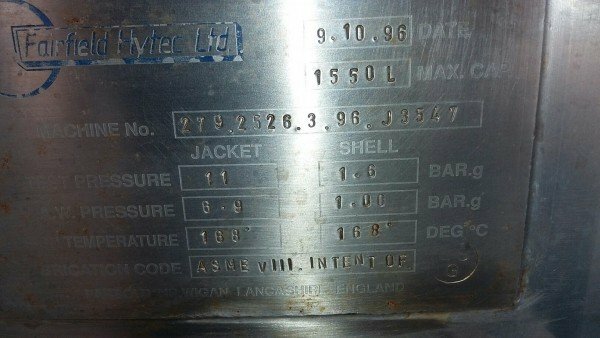 Made by Fairfield Hyter Ltd of Wigan. Manufactured in 1996. 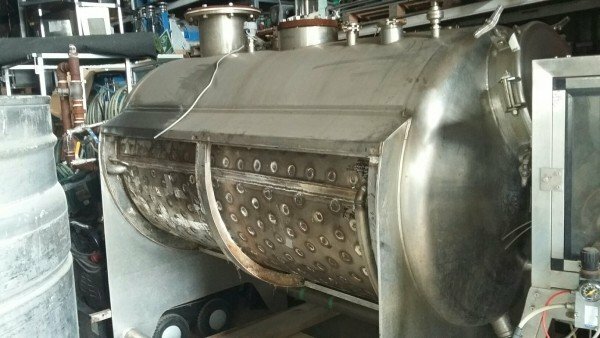 The unit has a capacity of 1550 Lts. 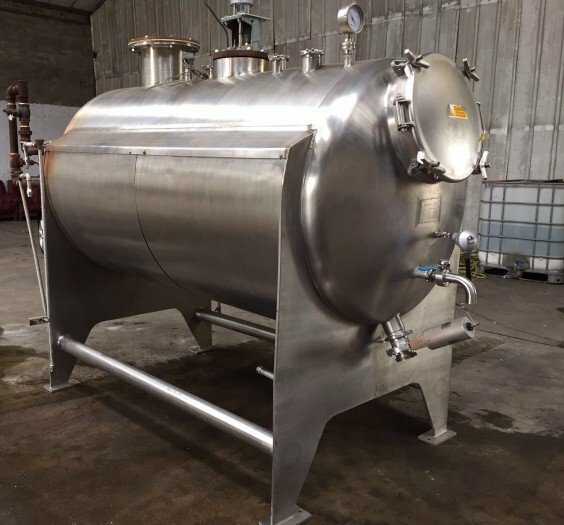 A horizontal vessel fitted with a steam stainless steel dimple jacket which is rated at 11 bar test and 6.9 bar working. 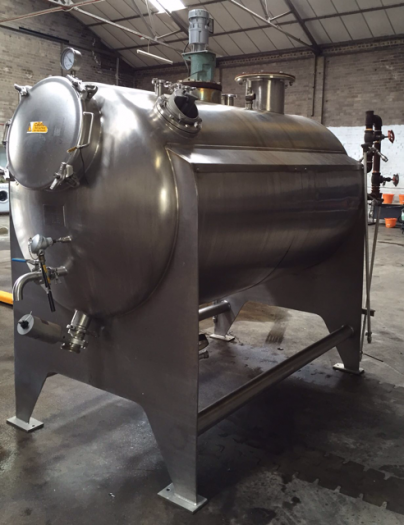 The vessel is also rated at 1.6 bar test and 1 bar working internally. The unit is all stainless steel and free standing. 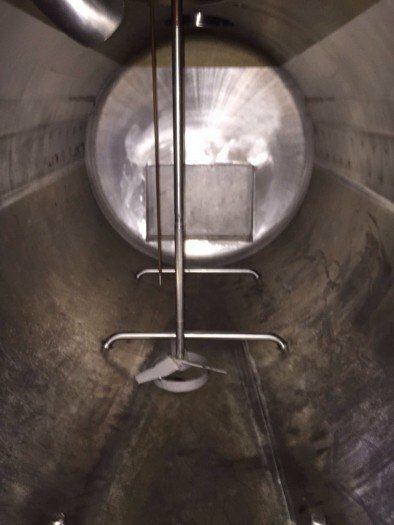 The unit has been fitted with a small s/s agitator fitted to one of the top inlet ports. It has a manway fitted to one of the dished ends which locks with swing bolts. 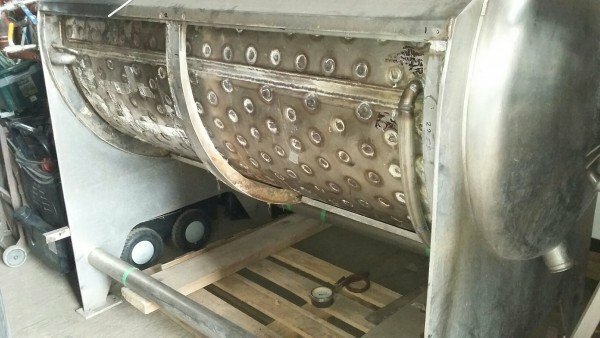 It has a large oblong opening at the opposite end which we think originally held an internal s/s tube bundle . ( not fitted ). The dimple jacket is covered in insulation and finished with stainless steel cladding.